“I’m dealing here with one of those surprising little bottles of wine that appear on a wine writer’s shelf from time to time. The Lost Barrel, this old Tawny, has been aged in barrels for many years in order to allow the colour to change from red to brown which is a mysterious process of oxidisation and estification which leads to a very characteristic aroma where you are getting a lift from the brandy spirit and then after that you’re getting caramel, almond, walnut, brown sugar, a whole series of combinations of sweet oak characters and sweet ripe grape characters. These wines are for sipping, they are really for serving winter for after a meal, dried fruits, glace fruits, in place of dessert or just a small glass of port. It’s the sweetness of these wines that is always quite breathtaking, because they are very very sweet in their style. I get mocha, choca chino type flavours, think of a coffee with milk in it and a little bit of chocolate and what a spectrum of flavours. The flavours are still in my mouth now 20 or 30 seconds after swallowing it. You will get a long caramelly after taste with this wine. It’s complex, sweet and 21.5% alcohol. So small glasses, small sips, cold nights, great fun. The appearance is unique, after decades of barrel aging, evaporation and occasional topping the colour is deep golden amber with khaki and olive green hues. The bouquet reveals intense sweet toffee, caramel, molasses and golden syrup aromas intensified by the heady mix of brandy spirit and rancio nuttiness. The bouquet is compelling, attractive and sensuous; it’s so intense it’s almost tactile. On entry, sweet toffee and caramel flavours are obvious while the rancio characters of walnuts, dried fruits, coffee and vanilla gently grow to overpower the palate with enormous weight and depth. The drying rancio characters cut through the initial sweetness and deliver a smooth clean back palate with lingering flavours on the after taste. A small sip opens the door to an unbelievable experience. This is truly a dessert wine to savour on its own or possibly with some nuts and dried muscatels. Tasting this wine evokes images of the businessmen’s club with polished oak and mahogany walls, billiard tables and large Havana cigars. With over fifty years barrel aging this wine has been recently bottled and is ready to be enjoyed. Once opened the wine will keep for many months when the cap is resealed. This is a rare experience and we hope you enjoy it as much as we do. The “Premium Reserve” label is allocated to only the most outstanding wines. 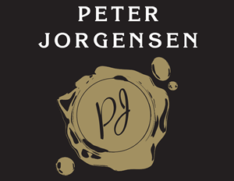 Peter Jorgensen hand selects truly premium, small batch parcels. The “Lost Barrel VSXO (Very Special Extra Old) Fine Tawny” is a single barrel of ancient fortified wine that was literally ignored in the cellar for decades. The original base wine was estimated by knowledgeable winemakers to be over 70 years old with more lost to evaporation than remained. Occasionally “topped up” with premium aged tawny it has developed into a highly concentrated liqueur tawny style fortified wine. It is a genuinely unique experience.